...it's more on a personal level..."
"...let them be themselves and sort it out..."
I guess I should not be surprised, but for a collaboration, they write really fast. Even as they are touring for this book, they're finishing up another Bess Crawford mystery. For readers, this is all good news. 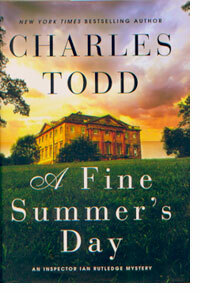 I now have another huge back-catalogue, like that of Lee Child, to dig through and read through in my leisure time. Books like these are perfect to read between interviews. They take your mind away from the present and yet let you keep your wits about you. Caroline tells me that they were surprised at how popular Hamish MacLeod would be with the fans. That actually surprised me, because Hamish is o much fun, he infectious. He gets to ask the questions that readers are thinking about, often asking and (and answering!) before readers are able to form those queries. The result is that he sort of helps the team "keep it real" for Rutledge, even while everything is sort of surreal. Charles and Caroline can collaborate in the same house, but not in the same room. Put them together and they tell me that they will distract one another instead of getting the work done. "There was no Collaboration for Dummies when we started," Charles drawls. Obviously they figured it out without the help of a yellow book, and we're all the richer for it. We discussed everything about their books except the plots, and you can hear this conversation by following this link to the MP3 audio file. Here's the one-hundred ninety-first episode of my series of podcasts, which I'm calling Time to Read, or when I warn the writer in advance, the lightning round. This is turning out to be really fun, and especially since I get to take on my game show host persona. "..there was a side of me of that was interested in the strangeness..."
"I thought I'd write something for fun.."
Listening to my conversation with Ray Russell and Rosalie Parker about Ray's book, 'The Dark Return of Time,' Rosalie's book 'The Old Knowledge' and all things Tartarus Press, I could not help but be back with them where we talked in a small, cozy room at the Bay Horse Country Inn in Renton. It was very much like a setting for a story either might write or both might publish. Renton is about 8 miles east of Thirsk in Yorkshire. There are two pubs, a few houses, and lots of open fields. It's Wicker Man country, to be sure, were it not for every one being so wonderfully kind and accommodating. Our host served fabulous beer, and Thursday night was "Pie-Fection" — every kind of meat pie you could imagine. 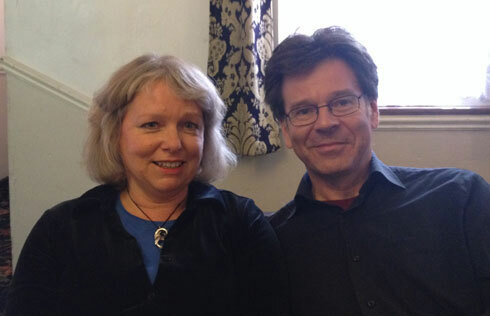 Take a listen and you can tell how utterly wonderful Ray and Ros are, and you'll know immediately why they are so successful as Tartarus Press. First, I spoke with Ray about his novel, and then we moved on to Tartarus. From there, Ros took up the conversation and we talked more about her role as the submissions editor of Tartarus. 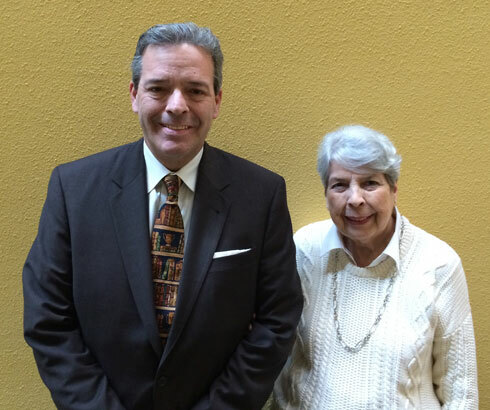 Amd then we talked about her book, 'The Old Knowledge,' and how her career as an archaeologist contributed to the book. You can join us in Renton by following this link to the MP3 audio file. "...most of our politicians are morons..."
'Let Me Be Frank with You' by Richard Ford is arguably a very political novel. As I sat with Richard Ford in his hotel room in San Francisco on a sunny Saturday morning, it was hard not to laugh through our whole chat, as Ford applied his wit and wisdom to Our Very Special Country. Like many, I was heartened to see the return of Frank Bascombe, and Ford told me that FB never goes away. Ford carries a notebook in which he joys down the things that Frank might say. I had to (with reason) warn Ford before the interview that might call him Frank during the interview, so strong is the identification in the book. He told me that there was often little difference between the two. He's certainly every bit as funnby as Frank! While 'Let Me Be Frank With You' is short, it's dense with ideas even as it reads lighter than air. Ford and I had plenty to talk about, from Bascombe's newest period, the Default Self, to his thoughts on aging. We also talked about the novella format, from it's rich history to the looks on the faces of publishers when told they're getting a collection of novellas. Given how wonderful this book is, it is up to us, the readers, to let publishers know how we feel about novellas. I am particularly fond of the form, as it allows writers enough room to create a world that is full and rich, but yet be succinct with plot and character. 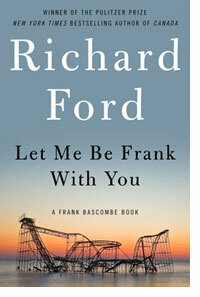 Make no mistake, the latest Richard Ford / Frank Bascombe book feels as rich as any novel you will ever read. 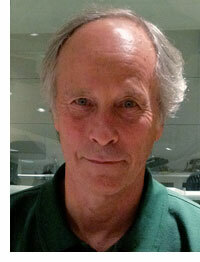 You can hear Richard Ford, Frank Basconbe and both in the same moment by following this link to the MP3 audio file. Here's the one-hundred-nintieth episode of my series of podcasts, which I'm calling Time to Read, or when I warn the writer in advance, the lightning round. This is turning out to be really fun, and especially since I get to take on my game show host persona.